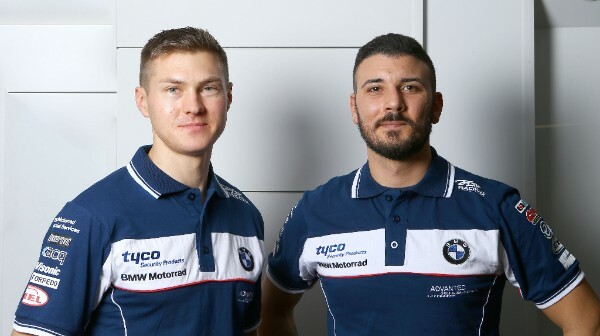 The 27-year-old from Rome, who finished seventh in this season’s World Superbike Championship, brings a wealth of experience to the Tyco BMW team and has claimed 14 podium finishes in the World Championship and was crowned the FIM Superstock 1000 Cup champion in 2011. Iddon returns with the team for a second season after claiming six MCE BSB podiums in his debut season with Tyco BMW. The Stockport-based rider started 2016 with four consecutive podium finishes, before returning to the top three twice at the end of the year. Giugliano said: “I’m very happy to be joining the Tyco BMW team for my first season in the British Superbike Championship. I have ridden on some of the British circuits already during my time in World Superbike, and will look forward to testing and racing on the others next year. Iddon said: “I’m obviously happy to be back with Tyco BMW next year and I want to do a full season of what we showed flashes of this year. We have shown what we are capable of with the pace we had at the start of the season and we also had a good end to the year too but we have to be aiming for that consistently. Team Manager Philip Neill commented: “First of all I am proud to confirm that TAS Racing and Tyco Security Products will continue our partnership for a fifth consecutive season. On top of that, we are very pleased to finally announce our team line-up for the 2017 MCE British Superbike Championship. “To retain Christian for a second season is an ideal scenario. He showed flashes of brilliance on numerous occasions this year and only some mid season problems affected his overall championship position. We believe in Christian’s ability and fully expect him to be a championship contender next year, during his second term riding a Tyco BMW S1000RR. “I don’t know Davide yet on a personal level but as world number 7 it’s clear he is a very talented motorcycle rider and we would like to welcome him to Tyco BMW and to BSB for 2017.